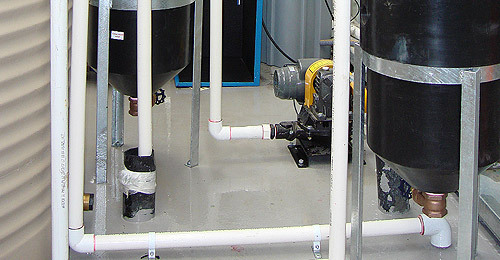 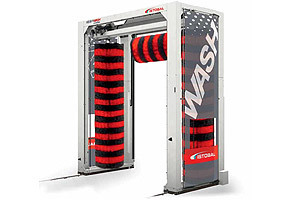 The PROGRESS truck and bus wash machine is available in 4 different heights, 2 widths and flexible bay length, to adapt to the specific needs of your fleet. 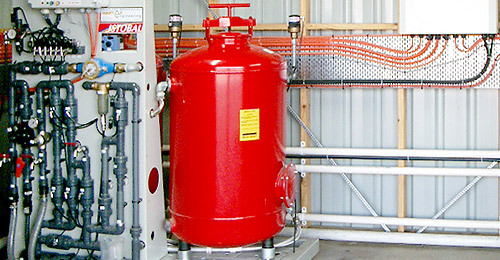 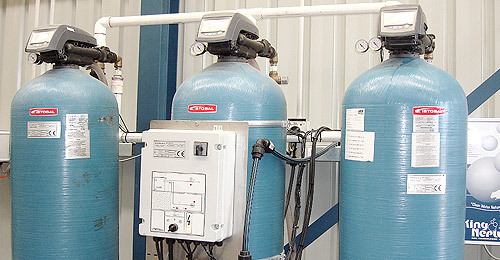 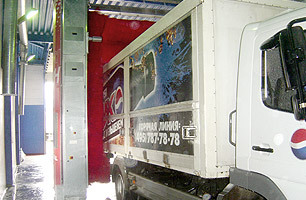 Vehicle types include; vans, trucks, trailers, buses, coaches and special vehicles such as tankers or public services. 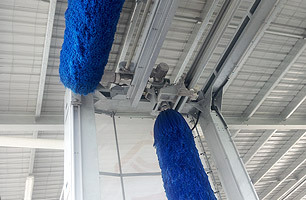 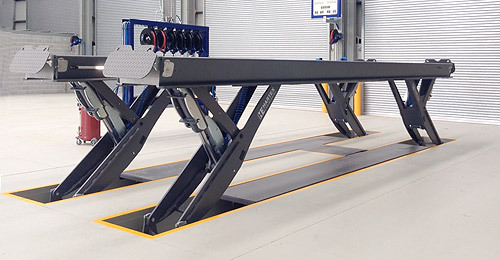 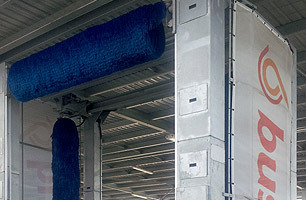 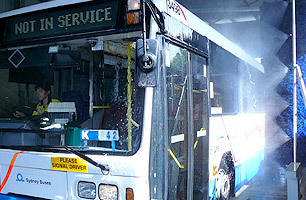 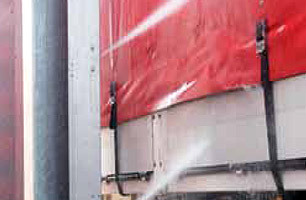 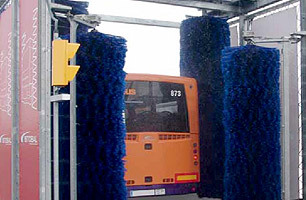 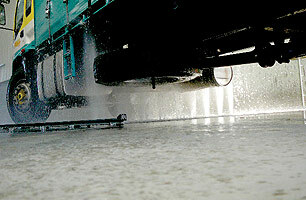 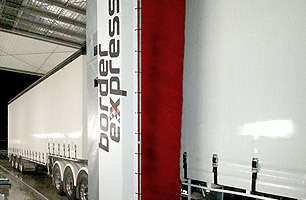 With a hot-dip galvanised structure, its vertical brushes apply an overlapping front and rear scrub; it also offers great program flexibility depending on the type of fleet and number of vehicles being washed per day. 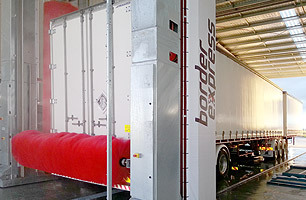 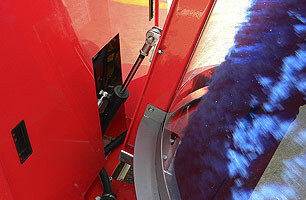 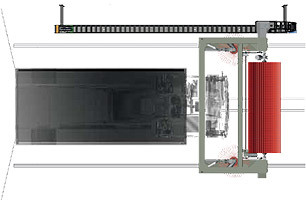 The Progress 4HWP Truck Wash includes several wash programs specifically designed for heavy vehicles with panoramic mirrors. 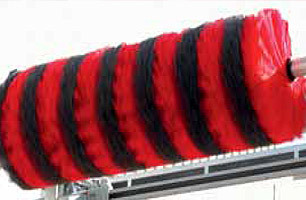 ** Standard length 24m. 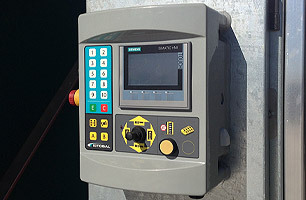 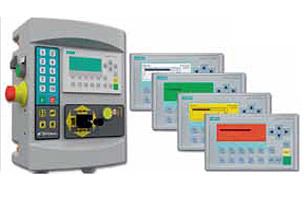 Modules can be added.